So, you’re in the market for a dry herb vape but perhaps your budget is lower than most of the heavily advertised, "high quality" units? It's normal to become overwhelmed shopping, especially with so many overly-hyped vapes being promoted at the local smoke shops. The Pulsar Flow might be a good option to consider since it's the perfect compromise between budget and quality. This tiny beast is priced at just under $100 and the unit performs so well that it's comparable to the Firefly 2, which is over 3 times its retail price. The Pulsar Flow is small, durable, discreet, easy to handle and use; however, be mindful, as it is on the heavier side for a dry herb unit so it weighs down one's pocket . For this price range, the Pulsar Flow is definitely a major steal compared to the competition. The Pulsar Flow is very similar in design to the Firefly 2, as previously stated, and likewise, it features a magnetic top and heating chamber flush with the device once the top is removed. However, the Pulsar Flow varies in that it has engraved logos of the company once the top is removed, along the body of the unit, as well as the bottom of the magnetic top. This isn't strictly for design purposes: this is an upgrade that is used for enhanced airflow, cooling of the vapor, and for obtaining pure flavor. It also serves to connect the magnetic top back on the device. The Firefly 2 has a smooth surface under its' magnetic top that hinders its performance at times by not being able to achieve a solid seal. For example, if a piece of herb was outside the heating chamber on the Firefly, trying to close the top would ultimately stop it from sealing and therefore, make it annoying to use at times. The Pulsar Flow with the grooves from the logo design really doesn't have this problem, and therefore, its' design is more user friendly. Also, the Pulsar Flow heats up to a desired temperature setting, as opposed to holding the buttons for every hit like one would do with the Firefly 2. The Pulsar Flow is very easy to use, clean, and carry. To first use the Pulsar Flow please verify that the device is charged. Then simply remove the magnetic top to reveal a quartz chamber which can hold approximately .5 grams of dry herb per session. Pack the heating chamber with Dry Herb, seal the magnetic top and press the green button on the side of the unit 5 times to power it on. The Pulsar Flow has 5 temperature settings (356, 374, 392, 410, & 428 degrees). Once the device is on, it is possible to change the temperature setting by simply holding the power button for 3 seconds. The temperature light will scroll through all the settings until the button is released to confirm a setting. Once you have a desired temperature, the unit will heat up automatically. It takes about 40 seconds to reach the desired temperature, so the Pulsar Flow heats rather quickly. You will know that you have reached your chosen temperature once the red LED light turns green, which signals that the unit is ready for use. Finally, take a draw from the mouthpiece and enjoy. Pulsar recommends that you occasionally stir the herbs and allow 5 seconds to reheat between each inhale. Also of benefit, is the fact that Pulsar equipped the Flow with a 4-minute shutoff timer to prevent waste and overheating. Make sure to allow the device to cooldown for 5 minutes between sessions. The Vapor Quality on the Pulsar Flow can be scored as an 8.5 out of 10, while it's not the absolute best unit on the market, it has great vapor quality, and does the job excellently. It also manage to successfully compete with units way above its price range. The design comes into play when discussing the cloud quality because users are able to enjoy every session with a mouthpiece that doesn't over-heat, and with improved air flow that is not restricting like some units. Therefore, it's pleasurable and easy to draw from the device, and you get thick quality clouds of vapor in every hit. 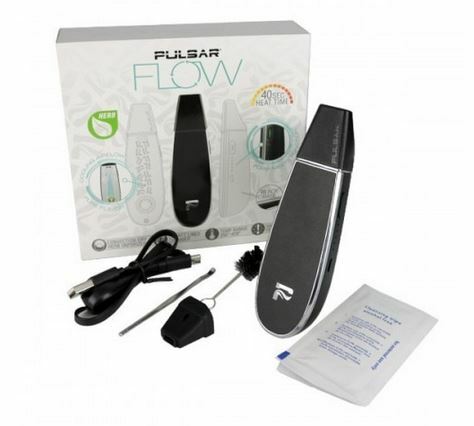 The Pulsar Flow has a 1600mAh Class A Lithium Battery. Pulsar recommends that the first charge should be no shorter than 3 hours, however, users should not allow the device to charge for more than 24 hours. Excluding that the initial power up, all charging sessions will be shorter and take approximately 1.5 to 2 hours. 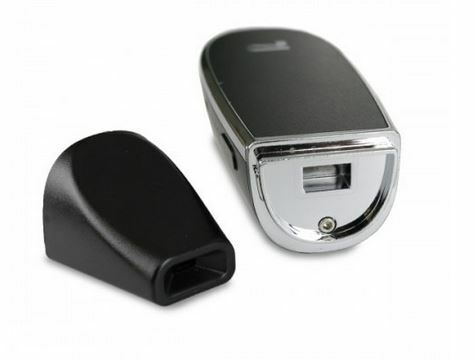 The battery has 3 indicator lights to inform users how much battery life is available. Low Battery = Alternating red & green LED flashing 3 times. The device then defaults to shutdown. You need to fully charge the Pulsar Flow before using it. Please make sure that the unit isn't dangling from the USB cord when charging to ensure that it charges correctly. Overall, this vape is a great deal for only $100. The Pulsar Flow has a multitude of positive things going for it, including a fast heat up time of 40 seconds, a sleek design, an improved airflow vapor path, enhanced durability, etc. Customers definitely won’t be upset spending $100 on this unit since it is an incredible value when compared to other units in the same price range such as the CFC 2.0.